With a labyrinth of cultures represented in every nook and cranny of town, Houston is one of the most ethnically diverse cities in America. To celebrate this world-class melting pot, we explore a new region of the globe through a Houston lens every week, from annual festivals and museums to restaurants and cultural experiences. Join the journey with our Around the World in Houston series. With an annual Lebanese festival, community cultural center, meetups, and youth and student groups, plus plenty of eateries rocking kibbeh, tabbouleh, shawarma, shish taouk, and manakish (think of it like Lebanese pizza), there is a mosaic of ways to channel Lebanon in Houston. 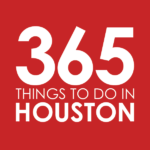 Please note that this list, like all of of our Around the World in Houston features, focuses on items directly tied to the country’s national identity. Lists may also highlight other regional elements including foods, arts, athletics, and other local and cultural items that would be common to find within the country’s borders, but may not be part of the national identity. Items are listed in alphabetical order and not ranked. Houston Lebanese Festival – Held in the spring and hosted by the American Lebanese Cultural Center, this weekend-long festival celebrates Lebanese culture and heritage through exhibits, delicious food, continuous entertainment, and fun activities that will transport you to the land of the cedars. Over the last three years, more than 10,000 visitors have joined in on the fun. The 2018 festival will be held on March 10 and 11. American Lebanese Cultural Center – Founded in 2014, this nonprofit celebrates the rich, diverse history, and tradition that makes Lebanon truly one of the most unique countries in the world. The organization has no religious leanings and is both non-political and non-partisan, focusing on programs and events to showcase Lebanese culture and heritage throughout the year. Follow along on Facebook and look out for meet & greets, picnics, holiday parties, scholarship awards, and luncheons. Lebanese Student Association at University of Houston – This student organization is dedicated to commemorating and promoting the Lebanese culture, lifestyle, and history through educational and social means. Alwadi Mediterranean Sandwiches – It’s not just about pita sandwiches at this Mediterranean and Middle Eastern grill; you can also get delights incorporating culture, flavors, preparations, and culinary inspiration from places like Lebanon, Italy, and Greece. Head here for hummus, baba ghanouj, kibbe, falafel, shawarma, and basbousa, a traditional Middle Eastern dessert made from semolina and soaked in syrup. Barbar Mediterranean Grill – Hit this fast-casual spot for authentic Halal Lebanese and Mediterranean cuisine on the cheap. Start with fatoush salad or a meze featuring hummus, baba ghanouj, tabbouleh, and falafel; then move on to shish taouk (chicken skewers), makanik (Lebanese beef sausage), and lamb kababs. Fadi’s Mediterranean Grill – Born and raised in Saida, Lebanon, chef and founder Fadi Dimassi is dedicated to serving authentic Mediterranean fare to community. Hit one of the three local locations to fill your plate with falafel, shawarma, kafta (Lebanese beef kabobs), kousa (stuffed zucchini), siyyadiyeh (fish and rice), zaatar bread, hummus, and fattoush salad. Fadi’s also rocks a banquet hall for special events. Mary’z Mediterranean/Lebanese Cuisine – With locations on Richmond and Washington, Mary’z Lebanese Cuisine is a family-owned spot that strives to bring authentic Lebanese and Mediterranean food to Houston. Feast on maqanik (Lebanese-style spiced beef sausage), sujok (mildly hot homemade beef sausage flavored with garlic), kibbi (ground beef stuffed with minced meat, sautéed onions, pine nuts and deep fried); labne (thick yogurt cheese garnished with olive oil), stuffed grape leaves, falafel, za’atar-spiced flatbreads, and chicken shawarma platters. And tack on namoura, baklava, Lebanese coffee, and fresh juices. You’ll also find hookah, here. Sayad Mediterranean Grill – Wood-fired kabobs are the name of the game at this popular grillhouse, but you’ll also find typical Lebanese eats like labneh, batata harra, fried kibbeh and falafel, homemade sayadieh, and kunafi pastries. Abdallah’s Lebanese Restaurant and Bakery – Started as a warehouse bread-baking business by brothers Elias and George Abdallah in 1976, Abdallah’s has grown into one of Houston’s most beloved Lebanese spots. Get a taste of Lebanon with fresh pita bread, za’atar bread, spinach pies, and desserts, from nammoura cake and rice pudding to burma pastries and maamoul cookies; and hit the mom-and-pop restaurant for labneh, baba ghannouj, kibbe balls, shish taouk, stuffed cabbage, mughrabieh (a Lebanese couscous dish), and kabob sandwiches. Cedar Bakery – Specializing in foods of the Mediterranean, Cedar offers a variety of manakish, or Lebanese flatbreads topped with things like cheese, za’atar, labneh, and shawarma. While you’re there, pick up some baklava and pita to-go. Droubi’s Bakery & Deli – Founded in 1979 as a bakery for Lebanese pita bread, Droubi’s eventually grew into one of the largest Middle Eastern retail stores in the country. In the ’80s, the company bought a Mediterranean import competitor, combining the two to bring a taste of the Middle East and the Mediterranean to Houston. Part bakery, part deli, part restaurant, part catering business and part supermarket, come here to get imported cheeses, olives, and oils, plus freshly prepared goods like lamb shank, shawarma, Lebanese-style grape leaves, tabouli salad, pastries, and freshly baked pita, of course. Phoenicia Specialty Foods – Started over 30 years ago by Bob and Arpi Tcholakian (natives of Lebanon and of Armenian descent), this bustling international market now hosts two locations. Both offer fresh produce, meats and seafood, cheeses and baked goods, and a plethora of gourmet eats, with a special focus on the Mediterranean and and Levantine cuisine. Visit to find traditional meze including tabbouleh, hummus, and baba ghanoush, plus things like slow-roasted lamb shank, labneh, fresh chickpeas, and freshly baked pita. Move along and you’ll find a tapestry of fresh and imported goods, from fresh chickpeas and ancient grains to spices like za’atar, sumac, allspice, and cinnamon. Downtown’s location houses MKT Bar, and at the 55,000-square foot Westheimer location, you’ll also find Arpi’s Deli, a restaurant specializing in slow-cooked meats and meze. Arabic at the European School of Languages – These Arabic classes are designed for all adults and education professionals who either want to start learning Arabic for the first time or want to maintain/improve their level of comprehension and pronunciation. Foreign Language Program at Rice University – Rice University offers an eight-week Arabic language course for both beginner and intermediate levels. Lebanese Expats on InterNations – Check out the InterNations to connect with fellow Lebanese persons living in Houston. Lebanon Times Magazine – Find this monthly Arabic-English magazine at places like Abdallah’s Bakery, Cedars Bakery, and Fadi’s. Did we miss one of your favorite ways to indulge in, celebrate or otherwise connect with Lebanon? We want to know. Please share your own favorites in the comment section below.